Sam Beam has been making albums now for 15 years. He's released six albums under the Iron & Wine moniker, plus he's collaborated on albums with Ben Bridwell of Band of Horses and Jesca Hoop on another. Beam's albums have progressed nicely from lo-fi folk to more produced, bigger and busier sounding albums that feature horns, strings and a few special guests. Now, Iron & Wine is back to what I think he is best at. There are no superstar collaborations, no large cast of players, no large horn sections or big string productions. Beam is back to where he started, though the fidelity is of better quality. Beast Epic is an organic and earthy folk album. It's kind of a lovely, lazy-day album, perfect for an autumn morning. Beam gets your attention from the start on "Claim Your Ghost," which features the repeated line, "Killers let go," though the song sounds more like an earthy poem than a murder ballad! You can hear hints of artists like Elliott Smith and Nick Drake as Beam sings his soft-spoken poetic folk hymns about clouds, trees, birds and Jesus. Sam Beam does have a way with words, as heard in "The Truest Stars We Know," where he sings, "And I know Jesus and his trophy wives are praying for the broken to be noticed / Save us all from what we want, beautiful and beaten back to life." On "Summer Clouds," you hear a bit of Nick Drake; this one has kind of an autumnal feel, which suggests it could almost be called "Autumn Clouds" with its slow, spare and hushed feel. Beast Epic also touches on love. "Bitter Truth" appears to be a breakup song, though when Beam sings, it almost sounds comforting. Right smack-dab in the middle of Beast Epic is "Call it Dreaming," which is pure bliss and the album's highlight. It's been kind of an uneasy last few months full of hurricanes, loud political rhetoric and riots. In times like this, music can be a beautiful and comforting thing. 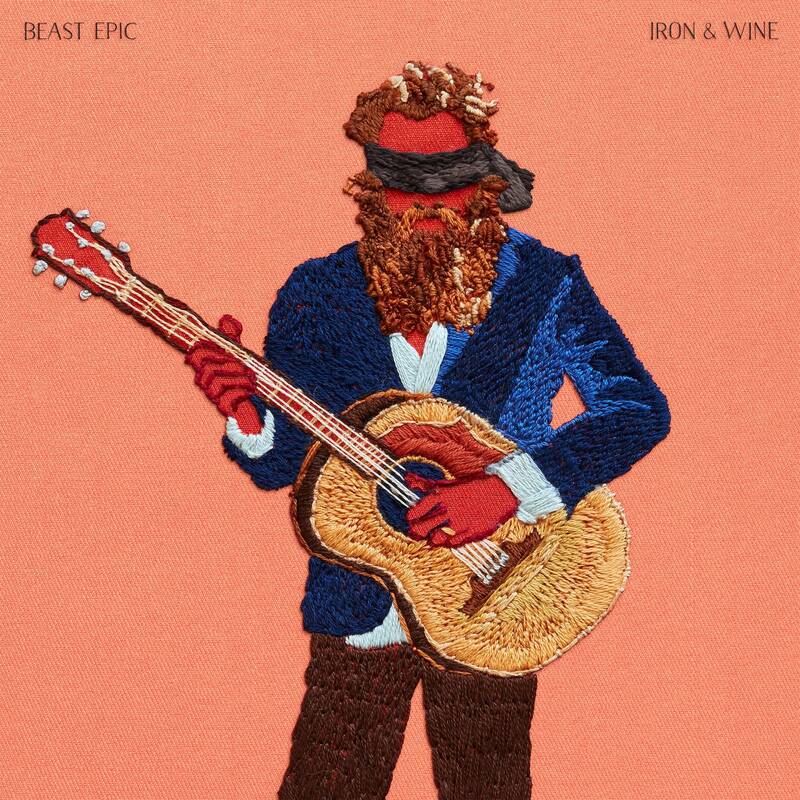 Iron & Wine's Beast Epic is an album that maybe you can find solace in. Iron & Wine performs live in The Current studios Iron & Wine (Sam Beam) stopped in The Current studios to play a few songs off his latest, <em>Ghost on Ghost</em>, and chatted with The Morning Show's Steve Seel about having a soft spot for heavy metal, his difficulty memorizing a decade's worth of lyrics, and what made recording <em>Ghost on Ghost</em> so unique. The Current's Guitar Collection: Sam Beam of Iron & Wine The Current's Guitar Collection is a look at some of the instruments that have been played in The Current's studios. Many times, there's a good story behind a guitar, often known only to the person who plays it. This week, Sam Beam tells us why he looks at guitars the same way he looks at colors.